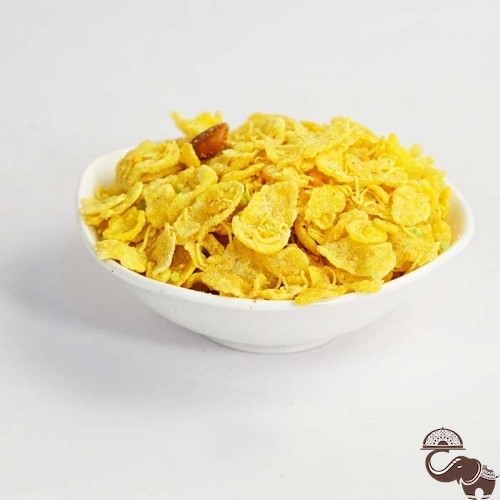 The way corn flakes are fried to maintain their crispiness with the right amount of spices to take care of your love for everything spicy. Savour the crunchy snack any time you like. We’d recommend you to have it with a cup of hot tea.